Chocolate Croissant — Strawberry Cream Cheese Croissant — Fruit Danish (Lemon, Cherry, Peach, Apple, Blackberry, Strawberry) — Cinnamon Rolls — Apple Turnover — Cheese Danish — Orange Rolls — Bear Claw — Cherry Turnover — Whole Wheat Twist (With Honey Butter and Walnuts) — Whole Wheat Cinnamon Bun (With Honey Pecans and Raisins). (Rolled Oats, Wheat Bran, Wheat Germ, Sunflower Seeds, Walnuts, Almonds, Honey, Brown Sugar, Cranberries, Raisins, and Vegetable Oil). 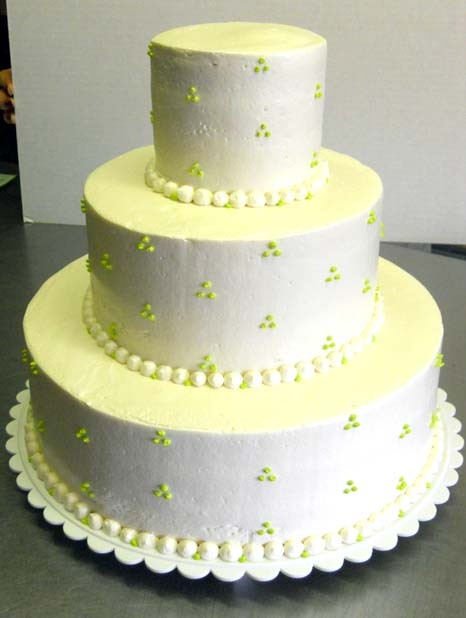 Prices for Wedding Cakes average between $2.75 and $3.25 per serving depending on specifications. 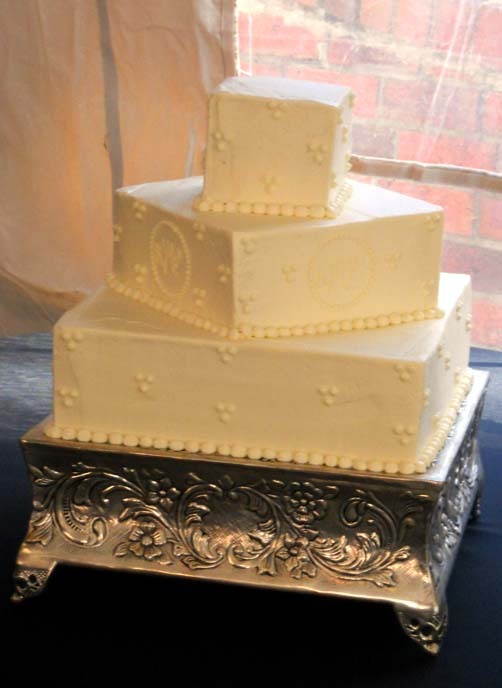 Each layer of wedding cake consists of two layers with a filling in between. Our standard filling in any flavor of butter cream icing. Other fillings, listed below, are available at an additional $.25 per serving. 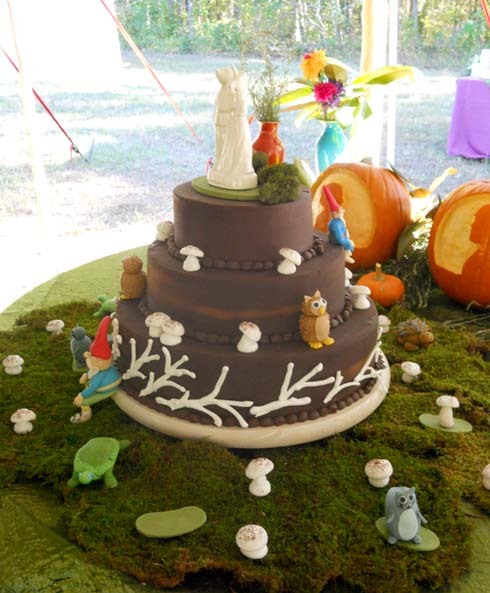 A 25% deposit is required upon booking your Wedding Cake. The balance is due 72 hours prior to your event. We have a $35 delivery charge within the Greensboro city limits. There is an additional $.50 per mile charge for outside city limits. Come To Our Store To See Which Ones We Have! We Only Serve the Freshest Roasted Coffee From Around NC! Some time in the early 80's a group of artisan bakers had a vision about a natural foods bakery cafe near UNCG. They found a small brick building that housed a former restaurant and proceeded to open Our Daily Bread. Over the course of the next few decades, that bakery café evolved and developed through the energy and effort of several different neighborhood owners and operators, into Spring Garden Bakery and Coffee House. 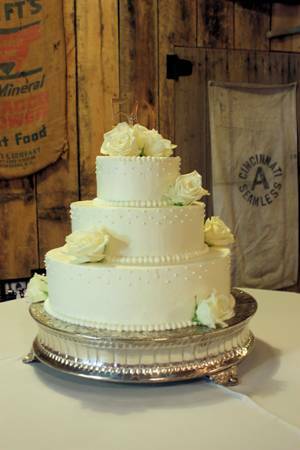 In 2001, Bill Schneider and Meredith Williams of Pepper Moon Catering bought Spring Garden Bakery and Coffee House as an extension of their catering business. By moving the baked goods and dessert production off site, they were able to increase the capacity of their catering kitchen. Not only does Spring Garden Bakery and Coffee House provide all the baked goods for Pepper Moon Catering, but you can find our product in Earth Fare and Deep Roots Markets, First Carolina Deli and Lox, Stock and Bagel, Tate Street Coffee House and The Green Bean, as well as Toshi Café and Java Joz's to name a few. 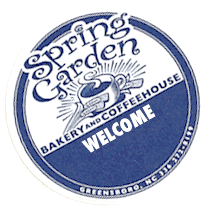 The opportunity to remodel and expand in July of 2010 has allowed Spring Garden Bakery and CoffeeHouse to continue to serve the needs of the Lindley Park neighborhood, the UNCG student, and our business partners with our tasty baked goods, good coffee, expanded seating area and free wi fi. Come by for sweet treat and a cup of coffee and see for yourself that the same pride and commitment to quality and freshness of those original owners continues into today.